One of the most common objections I receive when consulting someone on social media, is "Jeremy, I work in an area that is made up of an older generation. They aren't into twitter and Facebook and all this Internet stuff. So, I don't know if writing a blog would be a big benefit to me." So, I asked a few more questions about the demographics and came to the conclusion that it appeared the average age range she was referring to was somewhere between late forties into late sixties. So this morning I started to do some research to see what type of age groups are making up social media and if older generations are participating or if they are non-existent. The first place I started was here on ActiveRain. I remembered the wonderful article by Art Kruschka titled: The View from the 84th Floor (which btw, Happy Birthday Art!) in which he wrote about celebrating his 84th birthday on Monday! Art has been a very active member here on ActiveRain. In fact, since starting here in March 2008 at the young age of 82, Art has published 566 blog posts! This first graph is from my personal Facebook business page. You will notice that only 35% of my group is under the age of 35. While 35% of my fans are over the age of 45! Also, I have twice as many fans over the age of 55 than I do between 18-24. That stat really shocked me! 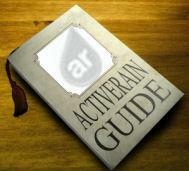 This graph is for fans of ActiveRain's fan page on Facebook. The numbers here were even more astounding. Fans under the age of 35 only make up 18% while there are just as many fans over the age of 55. Fans over the age of 45 make up almost half of the members. 82% of the fans are over the age of 35! After viewing these two graphs it leads me to believe that while many believe that Facebook is just for teenagers and college kids it appears that the majority of users are those over 45 years old by a long shot. With that being said, I started to doubt the validity in the statement that the older generations are not on the Internet and definitely not involved with social media. Are you still thinking this might be the case? If so, let me share one more thing that should solidify my results that social media and Internet marketing isn't just for kids. Ivy Bean just celebrated her 104th birthday the beginning of this month and has become an instant celebrity. Where you might ask? Well on twitter of course! I just followed her on twitter and became her 46,000 follower! At first when I heard about her being on twitter, I thought it was some promotional stunt that someone was trying to just collect followers. But when I investigated things I found out that it was legit. Take a minute to watch this awesome video from Ivy. So I ask if this statement is true? Older generations are not reading blogs or using other social media platform. I will let you be the judge of that. My personal opinion is that it is the exact opposite, more and more are signing up for these different social media platforms every day.